NEW YORK—As concertmaster of the New York City Ballet Orchestra, Kurt Nikkanen is well-versed in both music and dance. 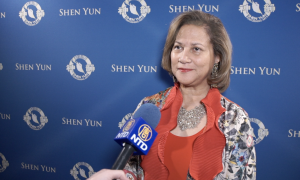 After watching Shen Yun Performing Arts present classical Chinese dance accompanied by music that blends Eastern and Western sounds, Nikkanen praised the quality of both aspects, adding that the performance was very well put together. “Really excellent orchestration and fantastic movements,” Nikkanen said. 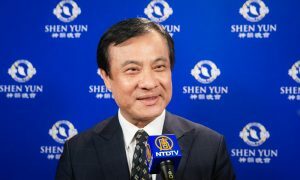 Shen Yun performed at Lincoln Center in New York City on Jan. 13, as part of its 2019 world tour. For more than a decade, the New-York based classical Chinese dance company has sought to share 5,000 years of traditional Chinese culture through dance and music. Nikkanen is an international violin soloist, who has performed with orchestras across the United States, Europe, and Asia, including the New York Symphony, Royal Philharmonic, and Dresden Staatskapelle. 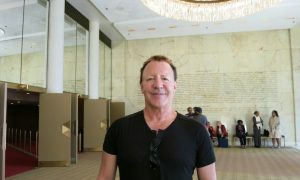 He has worked with many leading conductors and has also had works written for him. 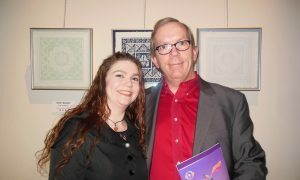 Along with performing with orchestras, Nikkanen also performs regularly as a recitalist in the United States and abroad. 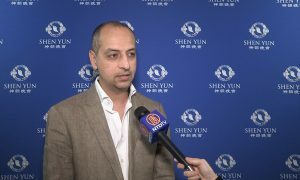 The violinist said he has met many of the violinists in Shen Yun’s orchestra and thought they played very well. “They sound terrific,” Nikkanen said. For Nikkanen, a highlight of the performance was hearing the unique sounds of the erhu. The erhu is a two-stringed instrument, sometimes known as the Chinese violin. Originating from China 4,000 years ago, the erhu is said to produce a sound that closely resembles the human voice. Despite having only two strings, the instrument is known to convey a wide range of emotions from joy to deep yearning. While some of the sounds were similar to that of the violin, Nikkanen said, the erhu was able to be expressive in ways the violin could not. Nikkanen praised the erhu player, saying she did a fantastic job. But it was not only the music that impressed Nikkanen. 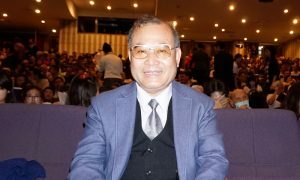 He was also interested in observing the classical Chinese dance performed during the stories and dance vignettes on stage. Nikkanen said classical Chinese dance was different from ballet and found the contrast between Western ballet and traditional Chinese dance intriguing. Classical Chinese dance is a thousands-years-old art form, with a rigorous physical component including complex tumbling techniques. It sits alongside ballet as one of the most complex dance systems in the world. The soloist found the emcee’s introductions to each segment useful, as that way he knew what to expect in terms of style. 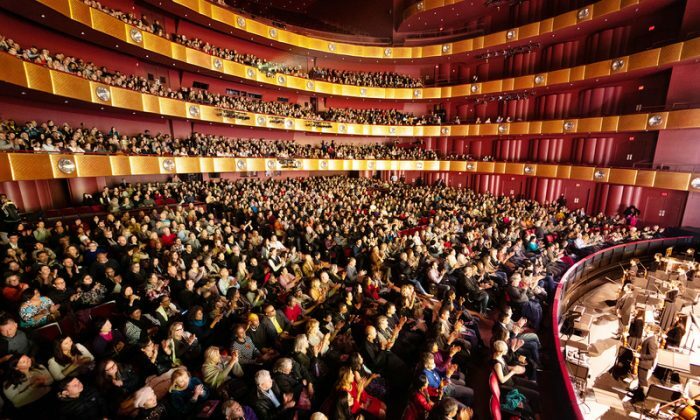 Shen Yun dancers not only perform classical Chinese dance, but also ethnic dances from China’s 50-plus ethnic groups, and folk dances passed down in certain regions. 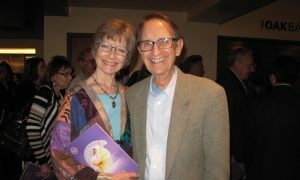 Nikkanen observed that the dance presented by Shen Yun was not just about the physical, it also extended into a space beyond ordinary perception. “The philosophical impetus behind the dance comes through,” he said. Classical Chinese dance is unique among the performing arts for emphasizing the perfection of “yun” or inner bearing. It is this component that allows the dancer to transmit their inner world to the audience though their physical expressions. The combination of the spiritually-informed dances with the resonant sounds of the orchestra created a atmosphere to remember, said Nikkanen. “It’s positive energy all around,” he said. From this, Nikkanen found the underlying message of the show. “We need to focus a little bit on inner training and try to better ourselves,” he said.